Today we are visiting Connecticut in a different fashion than we usually go to states. 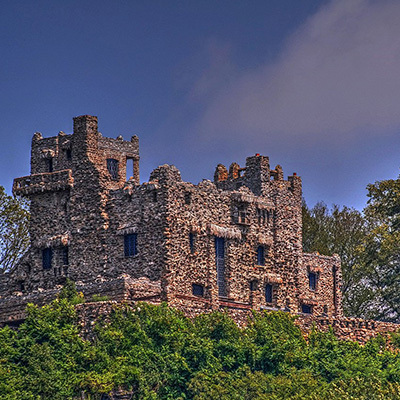 In the past, we have focused on different trails, but we would be remiss not to speak of a castle in a state park or a beautiful, wheelchair accessible beach. We hope you enjoy taking this tour with us. Nature and green exercise not only help the body but the mind as well. 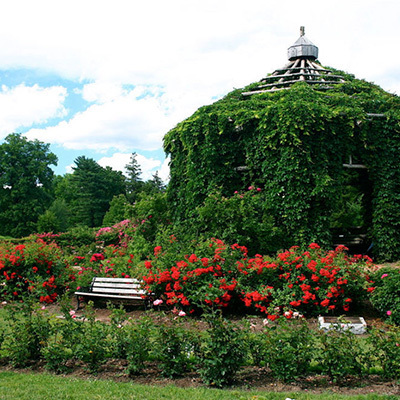 Elizabeth Park is over 100 acres of beautiful walking loops, formal gardens and spaces for free concerts. People enjoy the restaurant and reviews on TripAdvisor report that the breath-taking rose garden is wheelchair accessible. There are spaces for grilling and for kids to play. Open 365 days a year, this park is on the national register of historic places with a cottage built it 875 serving as the park’s Information Center. Learn more and get directions here. This two-mile-long beach is perfect for swimming, with a lifeguard on duty Wednesday-Sunday. It is also perfect for wheelchair users who want to go into the Long Island Sound. They have free beach wheelchairs that allow you to easily traverse the sand and even go into the water. The wheelchairs are available on a first-come-first-serve basis. In the summer it’s good for camping and picnicking. At this time of year, some families love winter beach walks and visitors say that it’s a wonderful beach all year round. With tables and a boardwalk, a nature center with exhibits and a touch tank with turtles and other animals, it’s easy to enjoy the spot! Learn more and get directions here. 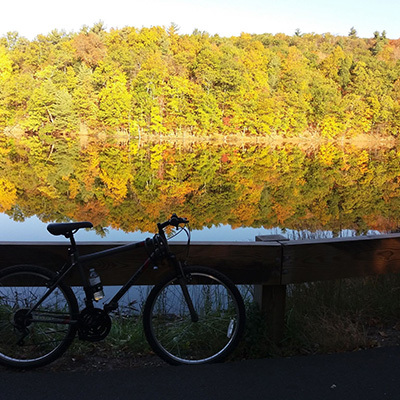 West Hartford Reservoir is an area with six reservoirs and nicely paved paths for walking, running and biking. Described as West Harford’s Central Park, the area has 30 miles of paths. It’s a case of getting out in nature yet still being in civilization. With walks that can be any length and difficulty you like, good animal spotting and easy parking, this is a great place for everyone to visit! People also love it for its dog-friendly attitude. Get directions and learn more here. Last up, we are visiting a 24 room mansion on beautiful grounds. The house is open seasonally and has a tour about the history. The house was designed and built for William Gillette, the actor who famously played Sherlock Holmes approximately 1,300 times on stage. The park receives over 350,000 visitors a year, walking the 184-acre grounds, touring the castle and looking at art exhibits. There, they can take in the intricate wood carvings on every door, the bizarrely built-in furniture and a mini train, ridden by guests of the house, like Albert Einstein and Charlie Chaplin. The only down note is that people on TripAdvisor are displeased with the bathrooms, while clean, they found the toilet seats to be too low. You might want to go before getting in the car! Get directions and learn more here. Let us know what you think of this week’s spots! Contact us at socialmedia@neulivenhealth.com.